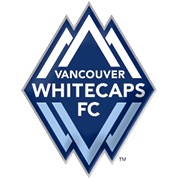 Having just narrowly defeated the San Jose Earthquakes away in California, The Vancouver Whitecaps will want to repeat the win at home this time, at the BC Place Stadium. 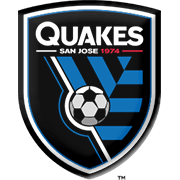 The SJ Earthquakes are last in the Western Conference with as many as 20 points less than Vancouver. But, the Whitecaps are not in great form currently. Out of their last five games, they’ve managed just two wins, with two draws and one defeat. Their top scorer is Kamara with 11 goals, assisted by his fellow attacker Reyna with 5 goals. It’s tight in mid-table in the West and Vancouver is only a couple of points away from 5th place, where they can easily find themselves at the end of this week if other results go their way. For that to happen, both strikers need to be on their game with Techera and Davies supplying the balls from the midfield. We predict a tight but secure win for Vancouver. Kendall Waston is yet another Costa Rican footballer who plays in MLS. The Vancouver Whitecaps centre back started his senior career at Sarprissa of Costa Rica and he played for the likes of Carmelita, Nacional, Bayamon, UCR and Perez Zeledon (on loan) in the past as well. Waston moved to MLS in the summer of 2014, signing a deal with Vancouver Whitecaps. The Costa Rica international scored only two goals in 11 appearances for the club in the 2014 season, but the club chiefs decided to keep hold of him. He found the net twice in 30 league games in the 2015 MLS campaign, while scoring three goals in his last season with the Canadian club. Kendall Waston was born in San Jose, Costa Rica on January 1, 1988 and he made his debut for the Costa Rica national team in May, 2013 in a match against Canada. The Vancouver Whitecaps forward scored his first goal for los Ticos on December 16, 2015 in a 1-0 victory over Nicaragua.